For hundreds of years, pastoralists in Ethiopia’s lowlands have relied on strong customary land tenure systems to survive. Historically, legislation has failed to clearly define communal rights to rangelands, and the specific roles and responsibilities for both communities and local government to administer and manage these resources. 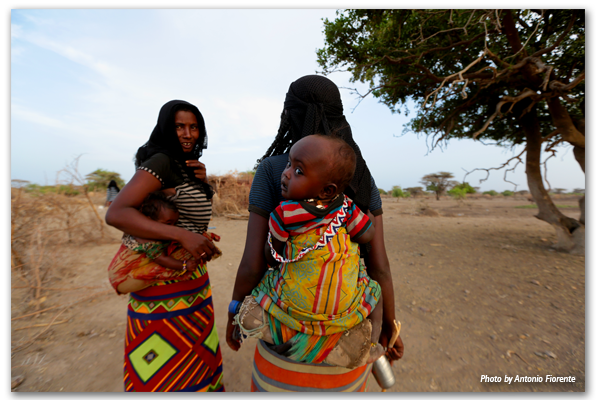 This legislative deficiency prevented pastoral communities from fully exercising their constitutional rights to land (Ethiopia’s Constitution broadly recognizes pastoral communities’ right to access land and prevents their involuntary displacement). Past legislation also created an institutional vacuum in which government officials no longer consulted community leaders on decisions to convert pastoral rangelands to plantation-style irrigated agriculture. 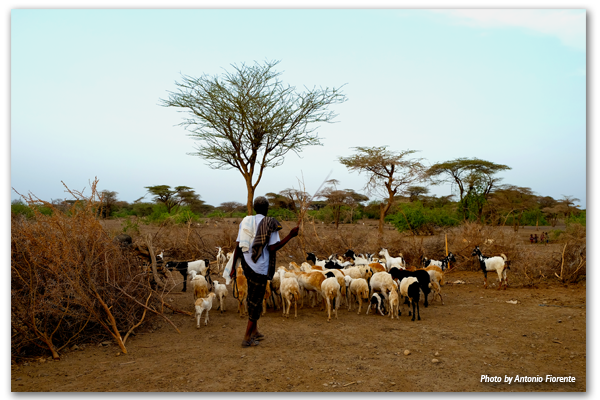 Restricting access to pastoral land has devastated livelihoods by severely curtailing access to dry season pastures, depleting wet season pastures and degrading rangeland resources leading to bush encroachment and shrinking livestock herds. USAID’s Land Administration to Nurture Development (LAND) project has been working with the Ethiopian government to certify pastoral communal land use rights, negotiating a resolution to a long-held impasse between government and pastoral communities. In 2014, the project began collaborating with Ethiopian government officials in the Oromia regional state to pilot methodologies that would formally recognize communal pastoral landholdings. LAND started by reviewing international experience in protecting pastoral land rights in 11 countries, including eight in Africa. The project also studied customary organization and management of rangelands by pastoral groups in Oromia and the successful methods developed to date. The project also determined that strengthening pastoral land rights required legislation that recognized and defined rights to communal rangeland held and used by a group of pastoralists. The ideal legislation had to allow for a legal entity to hold group title to such landholding on behalf of a community, specify procedures to map the boundaries of the landholding, and define the different responsibilities of local government and communities to manage the land and its natural resources. The hardest obstacle to developing this legislation was obtaining agreement between government officials and the pastoral communities over the size of the communal pastoral landholding to be registered and certified. The pastoralists in the Guji and Borana pilot areas wanted their customary dheedas (traditional grazing areas) to be the unit of landholding to be certified and registered. But dheedas can cover hundreds of thousands of hectares and straddle multiple administrative boundaries. Oromia officials were reluctant to certify a landholding this massive in the name of a single community. Further, they argued that the dheeda had to be subdivided per administrative boundaries to be more effectively administered and managed by local land administration officials. The pastoral communities steadfastly argued that the government must recognize their constitutional rights to land based on customary possession and certify the uncontested boundaries of their landholdings, as was done previously in the highland regions. LAND facilitated learning workshops and negotiations between the parties to resolve the impasse. It provided government with evidence-based research demonstrating that administrative boundaries do not accommodate access to seasonal pastures and the mobility necessary for viable livestock production. After nearly three years of negotiations, Oromia officials accepted the communities’ arguments and developed, with assistance from LAND, legislation providing the legal basis to register and certify community landholdings and enable customary institutions to function as Community Land Governance Entities (CLGEs) that will hold title to communal land, manage rangeland resources and represent the community in dealings with third parties, including the government and the private sector. In November 2017, LAND assisted three communities to establish their land governance entities in compliance with the legislation. LAND trained community members on their roles and responsibilities under the legislation, and on the procedures to demarcate and register the boundaries of their dheeda landholdings. LAND will further support the governance entities through training to help them establish more transparent and accountable governance practices, and build skills in financial management and negotiations with government agencies and third parties. USAID’s assistance to Oromia regional state to produce legislation that strengthens land rights of pastoral communities and build government capacity to implement the legislation will enable the federal Ethiopian government to replicate and scale up these interventions nationally to help secure pastoral land rights, prevent rangeland degradation, improve productivity of rangeland resources and increase economic opportunities for Ethiopia’s 12 million pastoralists. This blog post is made possible by the support of the American People through the United States Agency for International Development (USAID). The contents of this blog post are the sole responsibility of Tetra Tech and do not necessarily reflect the views of USAID or the United States Government.